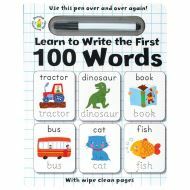 This book has 100 first words, each with a guide for beginning readers to write the world. 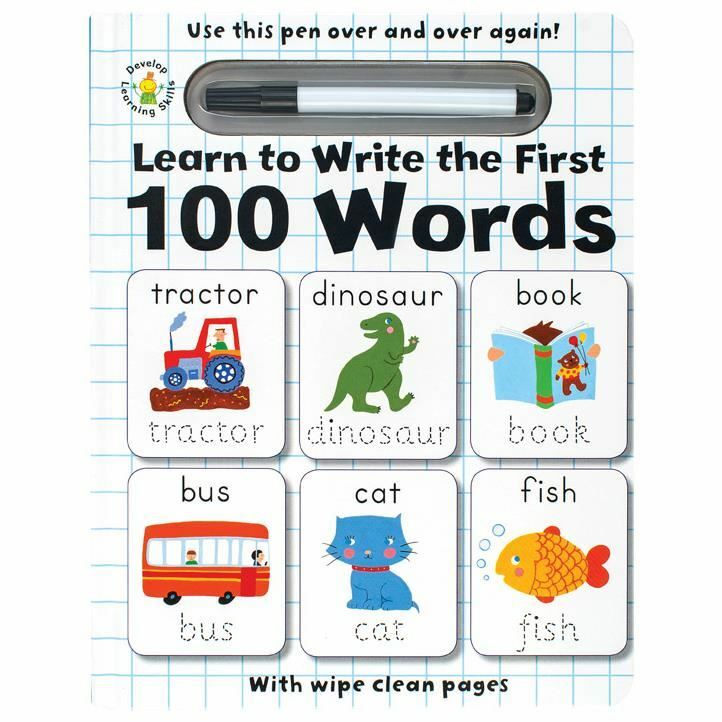 The pages are laminated and can be used over and over again. 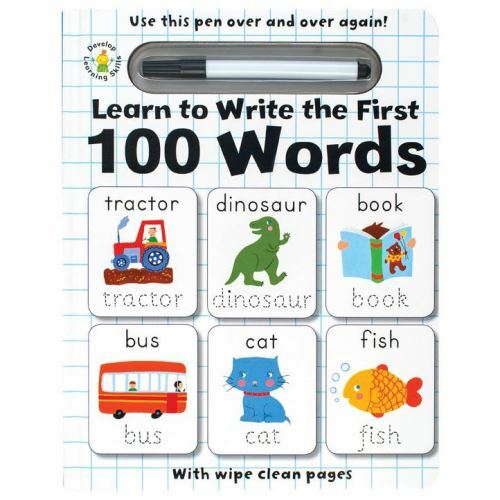 This book has 100 first words, each with a guide for beginning readers to write the world.